McDonald's is monitoring traffic via Google. Digital marketers like to talk a big game about programmatic, mobile and social advertising. And for good reason—eMarketer expects for U.S. digital advertising to make up $83 billion this year. But there’s also $29 billion up for grabs for out-of-home advertising in the United States—an industry ripe for digital innovation, as static billboards on the side of highways become more digital. 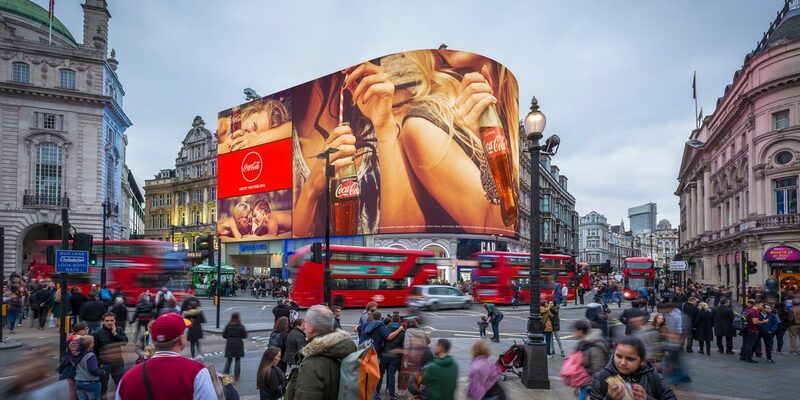 From pulling in real-time data feeds to personalizing creative on the fly, marketers like McDonald’s and Mazda found interesting ways to weave digital into their out-of-home ads this year. 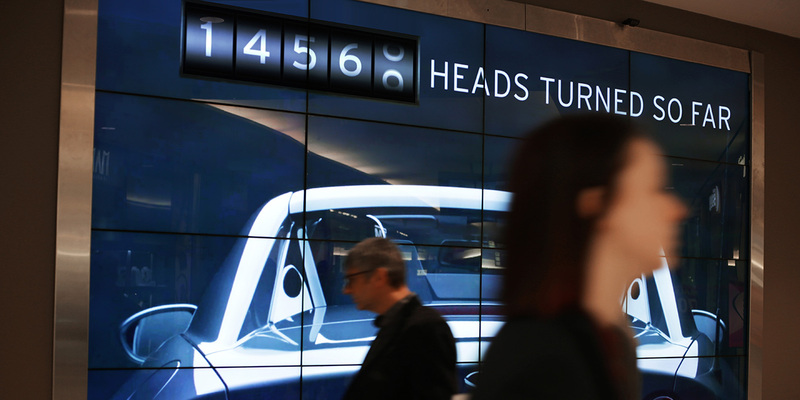 The screen is 2,600 square feet and features 11 million pixels with built-in cameras that watch approaching cars and serve ads based on the make, model and color, blurring the line between creepiness and personalization. According to Landsec, the company that owns the area, the ad’s cameras can also detect “gender, age group and emotions” though the company won’t collect or store personal information. Yeah, OK, we’ve heard that before. College kids love free stuff, and Kiehl’s tried to capitalize on that evergreen fact this year. 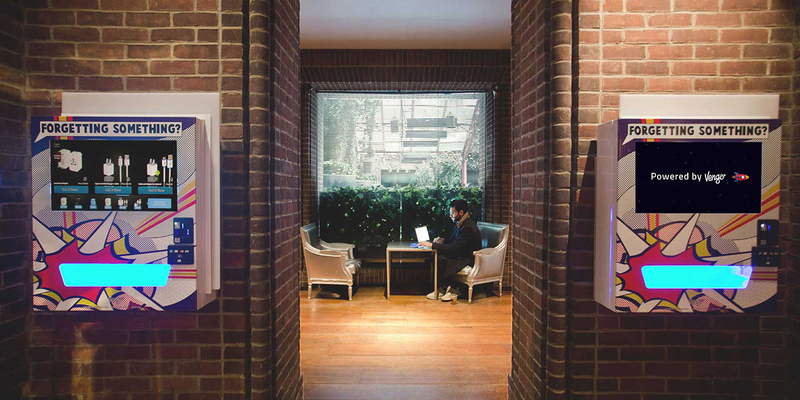 The skin care brand worked with Vengo Lab—a network of digital-enabled vending machines—to advertise on 1,400 screens placed around college campuses. In exchange for providing their email for messages, a Kiehl’s product is mailed to consumers. 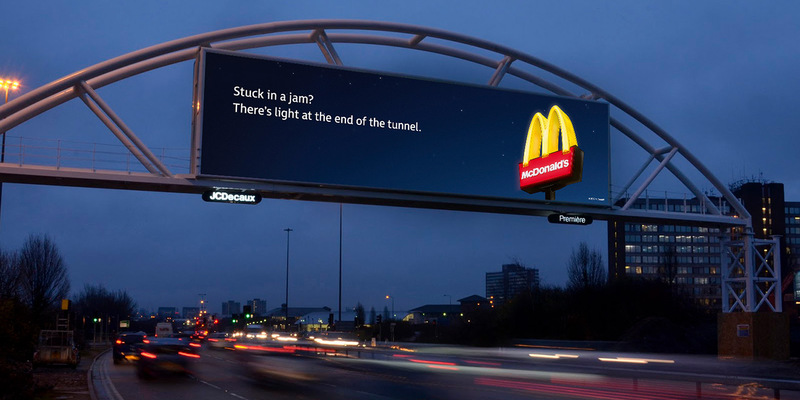 The fast-food chain and Leo Burnett placed billboards on the side of the highways in the U.K. that featured images of Big Macs when traffic was light. The ads pulled in data from Google Traffic’s API and change creative when traffic starts building to read “Stuck in a jam? There’s a light at the end of the tunnel.” Clever, huh? New Yorkers, your subway ride is about to get a lot more interactive. Working with Outfront Media, New York subways are in the middle of swapping out static print ads by Seamless, startups and dermatologists (Thank you, Dr. Zizmore!) for 50,000 digital boards that flip through images and videos. 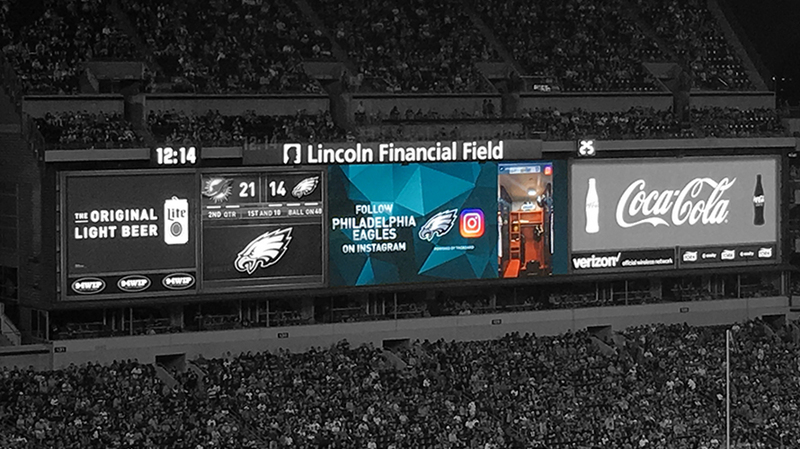 Mobile may dominate social media, but sports teams like the Philadelphia Eagles, San Francisco Giants and Seattle Sounders took their Instagrams to bigger screens. 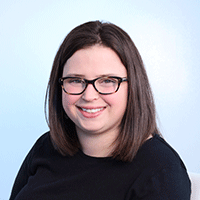 The teams are working with Tagboard to bring Instagram Stories filled with user-generated content to Jumbotrons and displays within venues. Displaying social content on big screens has increased the number of monthly followers by up to 20 percent, per Tagboard. For Toronto’s Canadian International Auto Show, Mazda ran 15-second videos inside the retail concourse of Toronto’s Royal Bank Plaza to show off its MX-5 RF cars.